Steve Bruce has said Tottenham are "nowhere near" reaching the asking price for Aston Villa midfielder Jack Grealish. Talks between the clubs have been ongoing for some time, according to Sky sources, with the Premier League club keen to grab him in a cut-price deal due to Villa's financial issues. Villa manager Bruce has been buoyed by the arrival of Nassef Sawiris and Wes Edens as majority owners since then, with the 57-year-old given assurances the club will not sell any of their prized possessions - including Grealish - "on the cheap" before the transfer window shuts next Thursday. Bruce said: "I don't think we've had a formal bid. There's been discussions and that's been going on all summer. The one thing the owners have made pretty clear is that no-one is for sale. "We don't want to lose our best players, but they're aware of course that everyone has their price. The best thing the owners have been able to do is not let anybody go on the cheap. "So if someone wants to buy our players, they're going to have to find a premium and make sure the owners are comfortable with it. "We all know what football is, but at the moment Spurs haven't got anywhere near what the owners want to consider - so there's not a discussion to be had at the moment, because they've not got anywhere near the figure they demand." 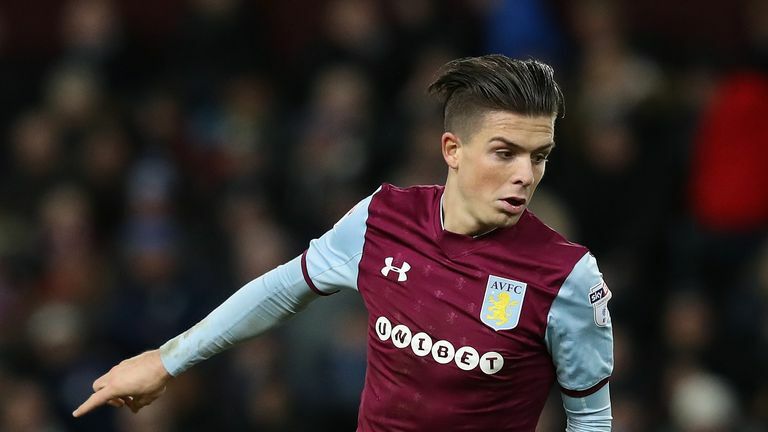 Grealish scored three goals in 31 appearances for Villa last season, and team-mate and new Villa captain James Chester said this week he "deserves to play at the top".